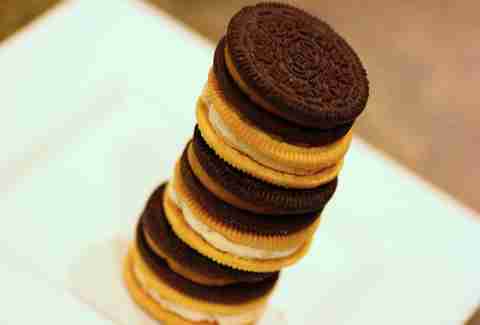 The Oreo is over 100yrs old and remains America's best selling cookie. 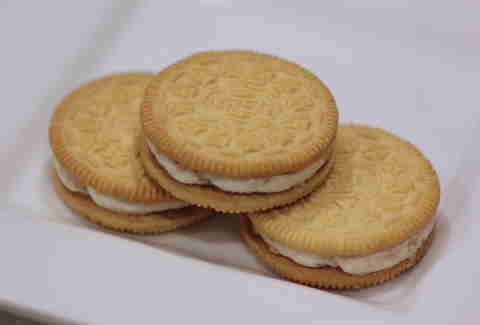 If the Oreo were a person, it'd be an ancient dude who swims 5mi every morning, drinks whiskey all night, and, during the day, takes your girlfriend on lunch dates. 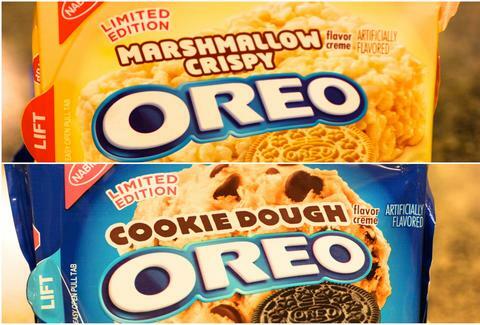 And Oreo shows no signs of slowing down, as they've just released limited edition Marshmallow Crispy and Cookie Dough flavors, both of which will hit shelves Feb 3rd and are only available while supplies last. But are these new flavors worth running to your nearest supermarket? Flavor: It's like a Rice Krispie treat without any of that pesky copyright infringing! Did Nabisco kidnap Snap, Crackle, and Pop and force them to make these by hand? There's no other explanation for how these came to be so satisfying. Each bite is filled with marshmallow perfection, and the aftertaste is just the right amount of sweet. Flavor: The chocolate flavors come through stronger than the cookie dough ones do, but it does feature a smooth, delicious cookie dough finish. A letdown when compared to the marshamallow ones, but it's still a solid pick. These are both only available for a limited time, and both of them are not to be missed. If you see the Marshmallow Crispy cookie on the shelves, buy all of them. And then call Nabisco and ask them nicely to free Snap, Crackle, and Pop. 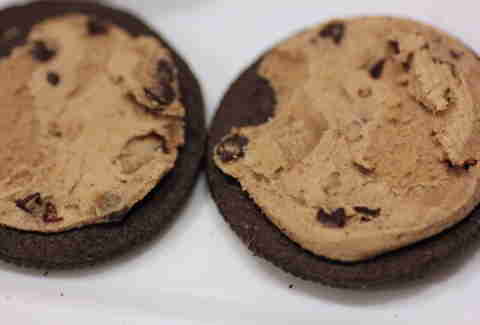 Lee Breslouer writes about food and drink for Thrillist, and thinks the best cookie of all time is Soft Batch. Follow him @LeeBreslouer, because you can't make a name that good up.